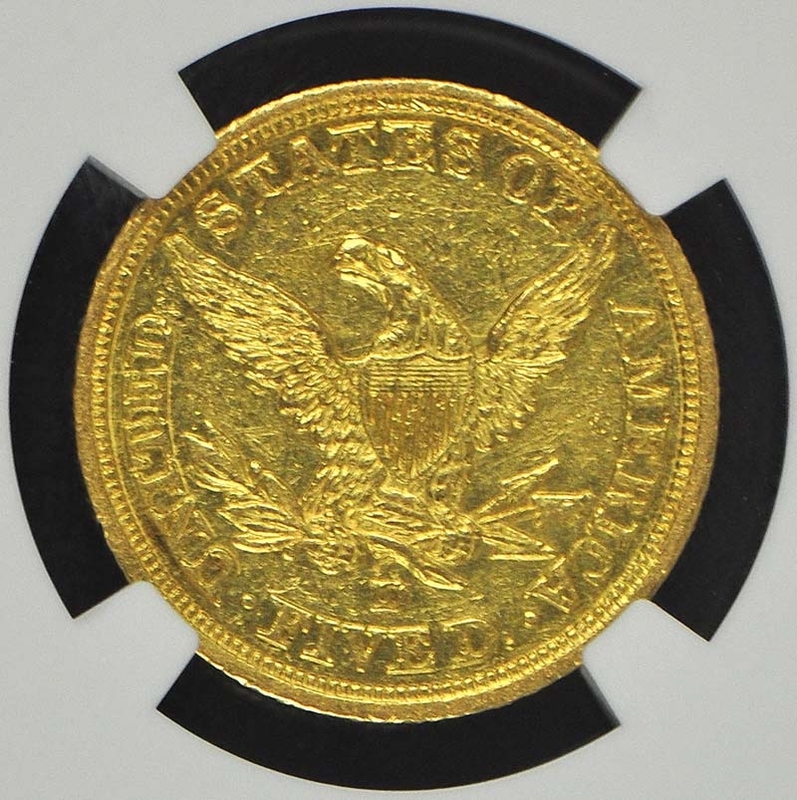 The 1843-D half eagle is fairly common for a Dahlonega Mint issue. Most of the coins seen are Very Fine or Extremely Fine at best. Damaged coins are also quite common for the date. 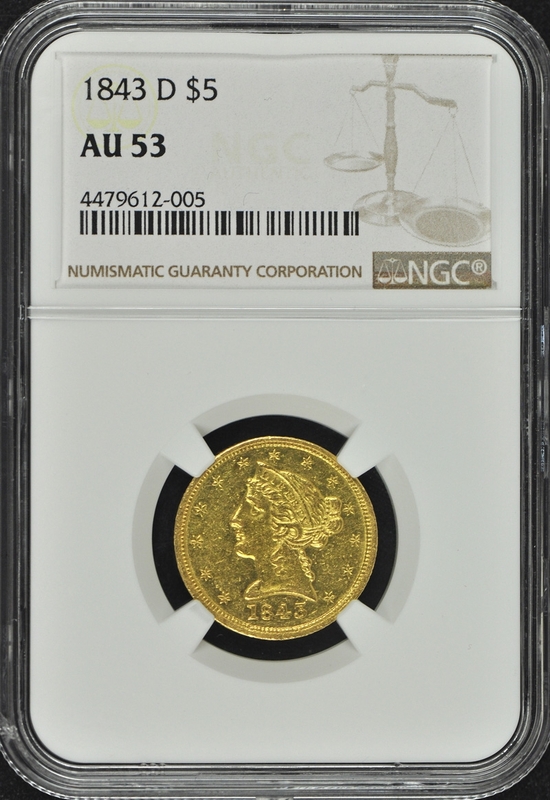 About Uncirculated coins are scarce but can be found with a bit of effort. 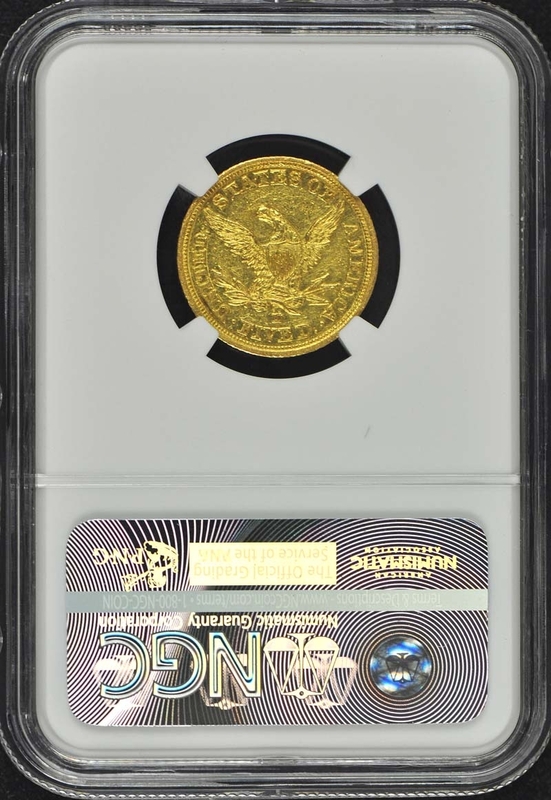 In Mint State; the 1843-D half eagle is very rare; only about a dozen coins have been graded at that level. None have been graded above MS-64. The finest known example of the date was a part of the Dukeís Creek Collection; acquired from the sale of the Harry W. Bass; Jr. Collection. That coin is well struck; with partial prooflike surfaces. 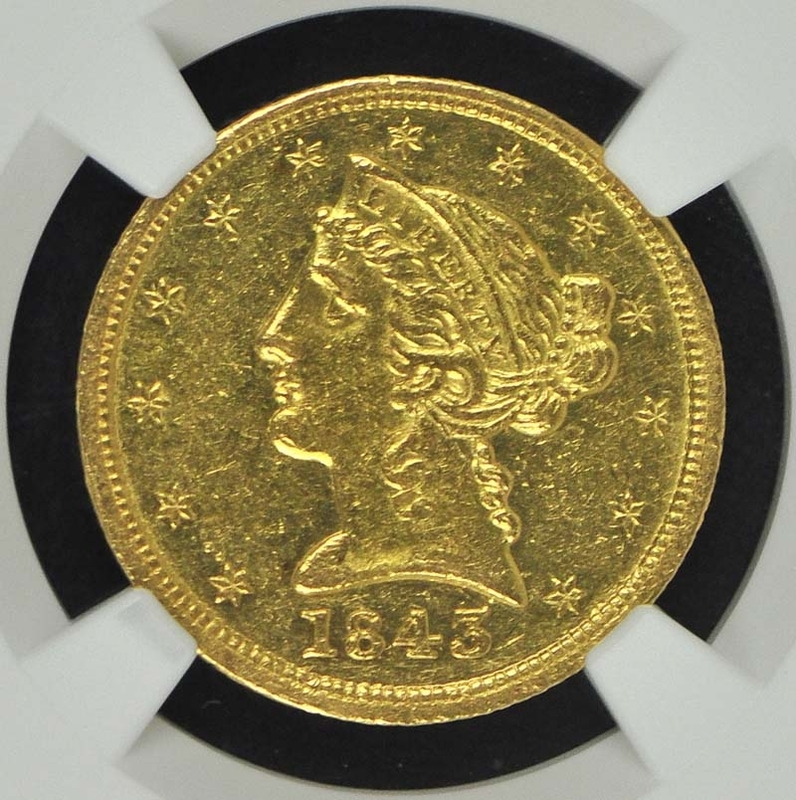 The 1843-D half eagle is found with either a large mintmark or a small mintmark. The small-mintmark variety is much rarer.